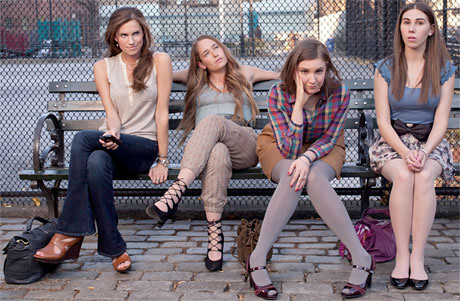 Last night we watched the series premiere of Girls, the new HBO show that's getting all sorts of 'will it be the next SATC' buzz. I've heard a lot of whining about this show, but a lot of good reviews too. So I needed to see it. Well, I loved it. I thought it was really, really funny, and not at all what I was expecting. Zosia Mamet (also on Madmen) was hilarious, as were the other girls (unknowns, as far as I know). So yep, I'll be watching this one again. I should have known though. Always trust HBO. Always. I heard about this one but didn't get around to watching it. I was not regular SATC watcher - so maybe that put me off a bit. However, based on your review, I will give it a try.